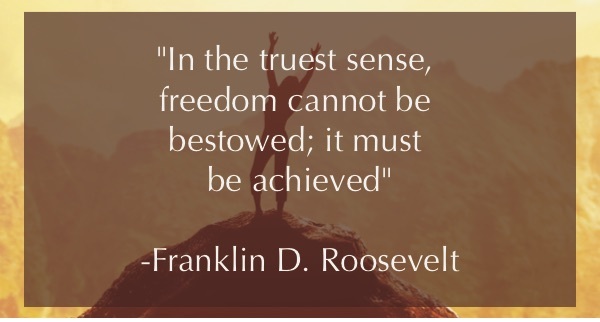 We often hear the adage, especially from our military servicemen and women, or our First-Responders, “Freedom isn’t Free!” Here, FDR gives us another angle: “…it must be earned.” Just like leadership cannot be given away, it must be taken away, freedom and leadership both must be earned. What have I done today, to earn my freedom and leadership? ← Previous Previous post: Happy Independence Day! Next → Next post: On the Eve of Success…Thank your Coaches.